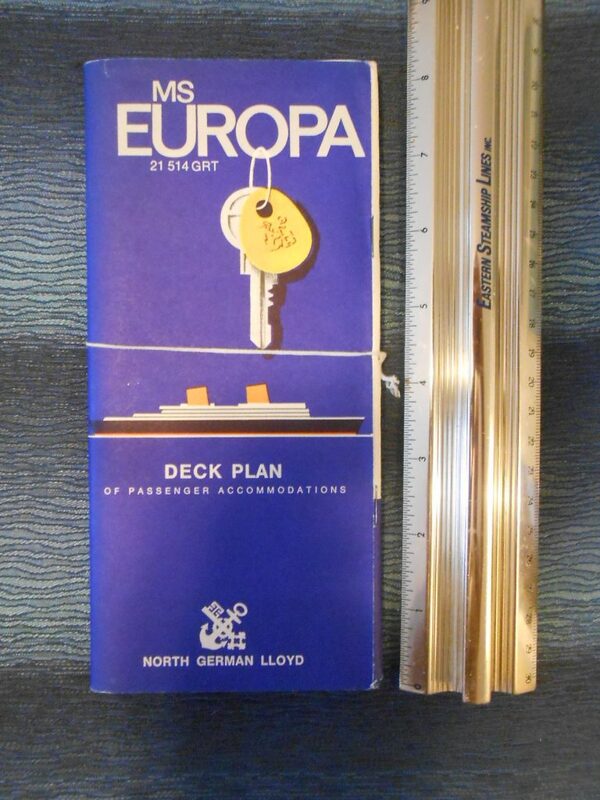 A mint blue cover deck plan for the NDKL Europa ... the old SAL Kungsholm. She was purchased to run in tandem with the Bremen.. one the new Kungsholm 3 was in the works. Excellent condition!